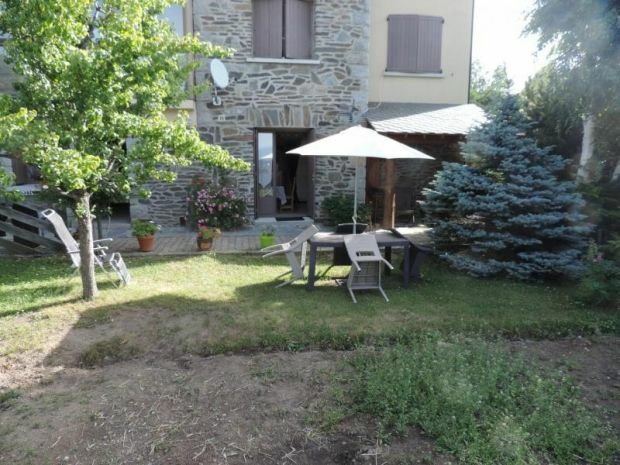 In the village of Bolquere, gite designed in ground floor of a large independent chalet. Ground floor: Living room with equipped kitchenette, 2 bedrooms (1 double bed) (2 single bunk beds), shower room (toilet). The cottage opens onto a facing South terrace, partly sheltered (garden furniture, barbecue). Enclosed parking on the spot. The owners live on the floor. Gite close to the slopes of skis (free shuttle). Owner with knowledge in trout fishing, mushroom hunting and hiking. Ski cupboard in the cottage. Lava-Lin, TV, Terrasse, Jardin, Animaux acceptés, Matériel bébé, Micro-ondes, Lave vaisselle, Plain pied, Connexion Internet, Congélateur, Barbecue, Espace ext. clos. Option à régler sur site : OPTION SERVICE DE MENAGE EN FIN DE SEJOUR (€): : 70 €. OPTION LINGE DE TOILETTE (€/PERS. ): : 8 €. OPTION FOURNITURE DRAPS DE LIT (€/LIT): : 10 €.